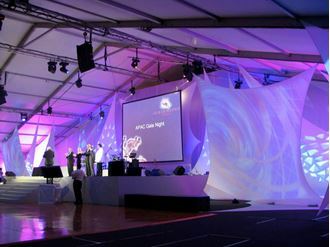 Staging Dimensions , Brisbane Prop Hire, Brisbane Event Theme, Brisbane Inflatable Hire. Lycra Sails, Screens etc. 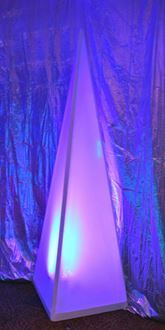 Lycra Sails are perfect for dramatic stage and room effects. Lycra is a lightweight & semi transparent material, allowing about 75% of the light to pass through if stretched tight. They are extremely stretchy & can be pulled into many dynamic shapes with nice curves. And they can be attached to almost anything giving endless rigging opportunities. 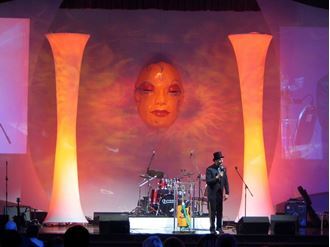 They are perfect for projection screens and lighting effects including logo projection for event branding.